Please register to blockchain.info for a new wallet. Once you create you new wallet you’ll need to ensure you obtain a Blockchain Extended Public Key which they refer to as “xPub” key. Once you have all that information you’ll need to visit your admin panel payments and Api section and set it all up so it’s valid when using the API. 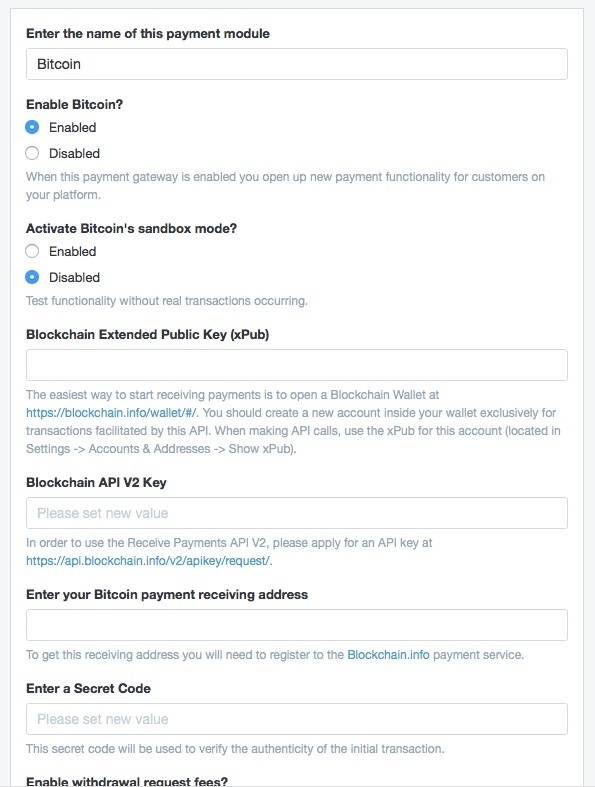 If you receive an “Unknown Error” that can be caused when the API cannot receive an “input address” even though one or more sellers have entered their bitcoin addresses. They’ll need to use xPub keys as well for this all to work. From the screen you’ll see a link/url to click to create your xPub wallet and register your domain for the API usage for receiving bitcoins and generating hidden bitcoin addresses so it completely protects all your sellers and their bitcoin addresses when they provide them from their payment receiving preferences. Alternatively, if you have setup your own Bitcoin daemon and are providing bitcoin services through your own API this code will need to be adjusted to fit your current API. The current code for ILance and Bitcoin is via Blockchain.info.